Vinyl LP pressing. In September last year, Josh Tillman stopped by our Nashville headquarters on an otherwise ordinary Tuesday afternoon and surprised us all with a lunchtime solo, acoustic set before his sold-out Ryman Auditorium performance. We, of course, had our 1955 Scully Lathe warmed at the ready to capture the occasion. As is typical for direct-to-acetate recordings in the Blue Room, Josh warmed up the room (and our engineers) with two songs before we started cutting the LP. He began with the debut performance of his newly penned 'Mr. Tillman' (foreshadowing it's release as the first single on God's Favorite Customer 9 months later). We then used the second song as an opportunity to carve a 12' on-the-spot single of 'Now I'm Learning to Love the War,' which was promptly handed it to a lucky attendee for safe keeping. If you want to know more about that, you'll have to scour the depths of FJM's fan net. 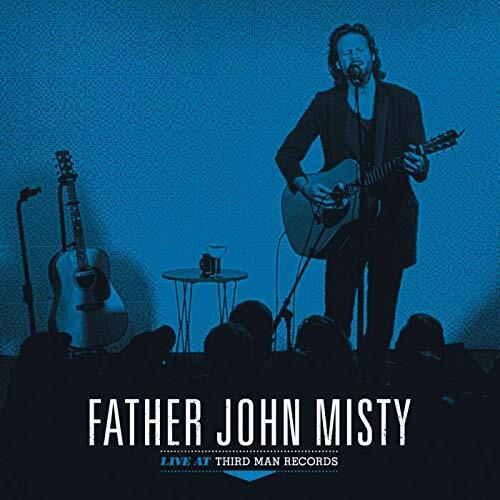 Live at Third Man Records covers songs from all three Father John Misty albums out at the time of it's recording, heard here stripped totally bare. If you have any questions about this product by Third Man Records, contact us by completing and submitting the form below. If you are looking for a specif part number, please include it with your message.